Merna Faye Cole, age 92, of Glenwood and formerly of Independence, IA., died Friday, December 20, 2013 at the Glenwood Village Care Center in Glenwood, MN. A visitation time has been set for Thursday, December 26, 2013 from 2:30 to 4:00 PM in the Community Room on the lower level of Parkview Court in Glenwood. 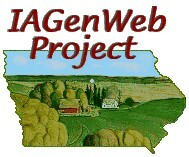 Inurnment will be held at a later date in Independence, Iowa. Merna was born December 26, 1920 on a farm near Grand River, Iowa to Henry and Stella (Wycoff) Brammer. She attended and graduated from the Grand River Public School. After graduation she moved to Independence where she worked as a hospital attendant. While living in Independence, she met and married Robert C. Cole in 1940 in West Union, Iowa. To this union, two boys where raised, Roger and Richard. Through her working years she did many jobs, including service as Deputy County Auditor for Buchanan County, in Independence, Iowa for 20 years. Merna was known for her meticulous attention to detail, her organizational skills and expert bookkeeping abilities. Hard work and thrift were the guiding principles in her life. During her years in Independence, Merna was a long time member of the United Methodist church and the church circle, the Eastern Star and the VFW Auxiliary. In 2000 she moved to Glenwood Retirement Village to live near her sons. Merna was preceded in death be her parents; Husband Robert C. Cole; brothers, John, Hoyle, Rollie, and Clifford; sisters, Clarissa Brammer, Martha Beers, Goldie Metcalf, Marion Sattizahn, Bernita Weber, and Silvia Adolph. Merna is survived by her 2 sons, Roger (Linda) Cole of Alexandria; Richard K. Cole (Connie Woodard) of Glenwood; grandchildren, Tyler (Barbara) Cole, Jennifer (Steven) Kappel, Lorie Wessale; great-grandchildren, Gwendolyn Cole, Lexi Seivert, and Baily Wessale.